We have all had the experience where we are completely exhausted by our babies lack of sleep. Let’s face it, babies, that done sleep well get a lot of bad press! There is always that one mother at Mothers group who annoyingly has the best sleeper in the world. Just because our babies don’t sleep well, it does not make them bad babies. It is time to share the positive aspects of having a baby who does not sleep well. These responses are brilliant. 1. PARENT: She is such a good baby. She goes to sleep as soon as I put her down in her cot. YOU: My little one is such a good baby. She likes to sleep on me so I get a lot of cuddles. There is nothing nicer than feeling your baby’s heart beat in time with your own. 2. PARENT: We are so lucky with our baby boy. We can take him anywhere and he just sleeps in his pram the whole time. 3. PARENT: We are blessed with our baby. She not only sleeps all night but takes regular naps during the day. 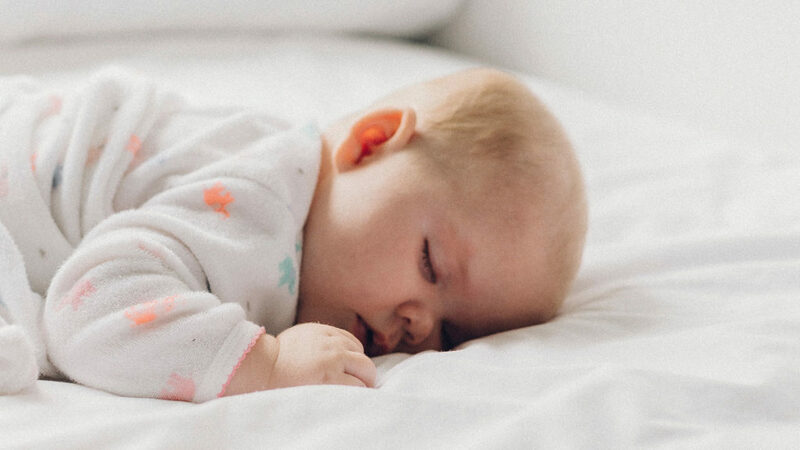 YOU: Our little one rarely sleeps during the day and wakes regularly during the night so we get all that extra time with her. We are so damn blessed. 4. PARENT: We can’t complain; our baby sleeps all day. YOU: My baby doesn’t sleep during the day at all. But I didn’t go through ten months of pregnancy and childbirth just to look at a bundle in a Moses basket. So, I can’t complain. 5. PARENT: Oh baby still not sleeping? You look so tired. You poor thing! YOU: She is still not sleeping but that isn’t why I am tired. It is all the activities you have to do with them! We have baby sensory games in the morning, followed by crafts and stories; then I cook an Annabel Karmel meal from scratch for lunch. In the afternoon we have singing, stimulating outdoor play and swimming lessons. Finally, I whip up an organic casserole for dinner, then it is on to a full body baby massage, more stories, bath and bedtime. This parenting game is rather exhausting isn’t it? You look amazing by the way. Not tired at all! 6. PARENT: Oh dear is she still not sleeping? Maybe she is teething or hungry? YOU: She is teething and hungry. In fact, that is the problem. She is so hungry she keeps eating her teeth. She is so clever. 7. PARENT: My baby is fantastic, she self-soothes herself to sleep. YOU: My baby is fantastic. She likes me to sing and cuddle her to sleep. Which is great as one of the reasons I had a baby was to have something cute to cuddle. 8. PARENT: My baby is so considerate. She goes to bed really early giving me plenty of time to go to the gym and burn off that baby weight. YOU: My baby is so considerate. She is helping me burn off the baby weight by letting me carry her around the house about 24 hours a day. In fact, I think I am fitter now than I was pre-pregnancy. 9. PARENT: Oh you let her sleep in your bed? You are making a rod for your own back there. She’ll never sleep on her own. YOU: Never, really? NEVER? In that case I had better get a bigger bed. It is going to be a bit of a squeeze when she gets to 18. 10. PARENT: Have you tried putting her in her cot, turning out the light, shutting the door and leaving her to cry? YOU: Err…no, because I quite like my baby. These are some great ways to combat what can be a hard time. By thinking and responding positive you feel so much better.